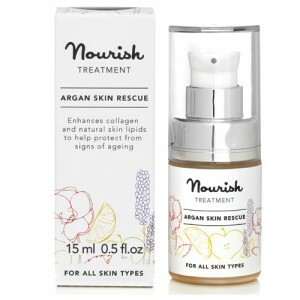 For sensitive skin. 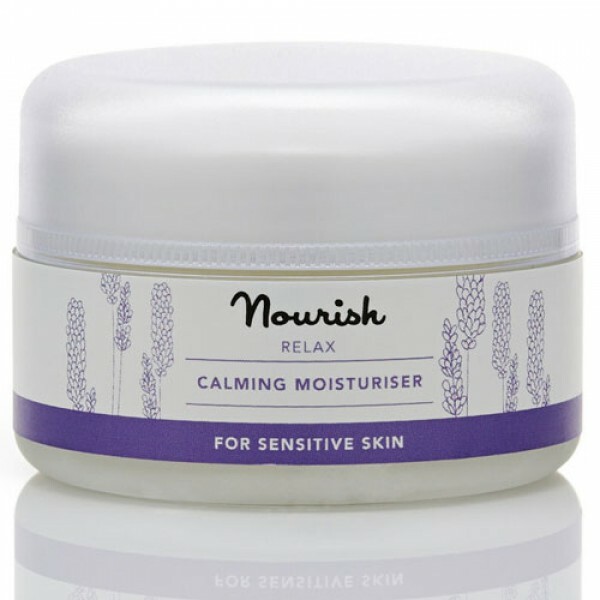 Nourish Relax Calming Moisturiser features a deeply restorative blend of soothing plant actives to replenish skin's protective moisture barrier and sooth sensitive skin. With Organic Lavender Oil, Borage and special Shea Butter Nilotica, this delicate and light cream is rich in Omega Oils and balancing ingredients to calm stressed and sensitive skin. Lavender is well known for its powerful anti-inflammatory actives that help to alleviate the effects of damaging free radicals, to reduce physical stress, relax the spirit and soothe the skin. 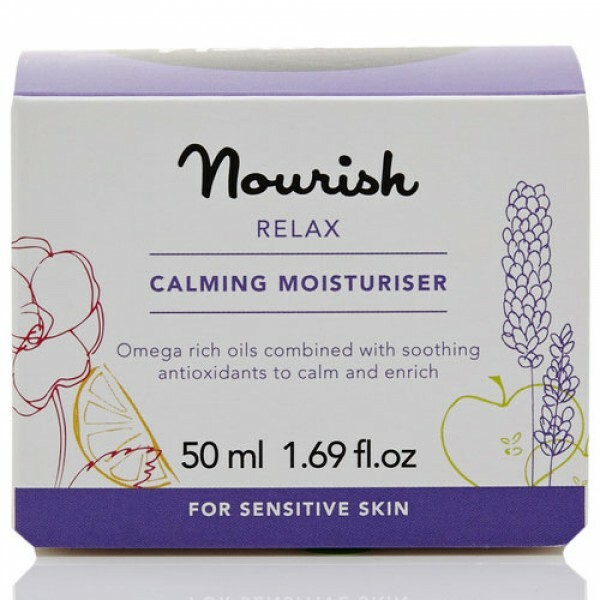 Nourish Relax Calming Moisturiser is Certified Organic by the Soil Association. Aqua (water), Helianthus annuus (sunflower) seed oil*, Glycerin**, Cetearyl alcohol , Cetearyl glucoside, Palmitoyl tripeptide-5, Glyceryl stearate, Argania spinosa (argan) kernel oil*, Lavandula angustifolia (lavender) oil*, Aloe barbadensis (aloe vera) leaf juice powder*, Borago officinalis seed oil*, Vitellaria paradoxa (shea butter sp. nilotica)*, Bisabolol, Zingiber officinale (ginger) root extract*, Daucus carota sativa (carrot) root powder, Sodium levulinate, Levulinic acid, Cetearyl olivate, Sorbitan olivate, Glyceryl caprylate, Glyceryl undecylenate, Potassium sorbate, Tocopherol, Coumarin, Geraniol, Limonene, Linalool. *Certified organic. ** Organic origin. Naturally present in essential oils.